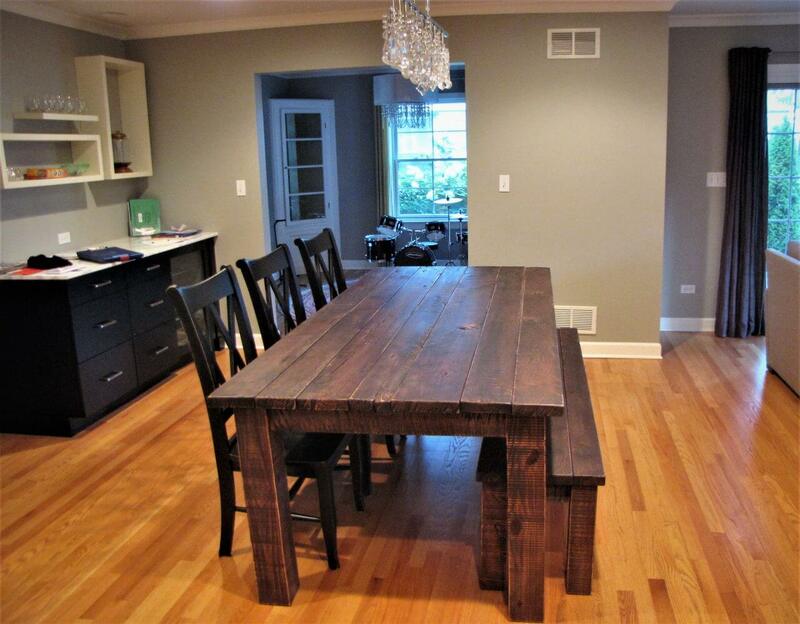 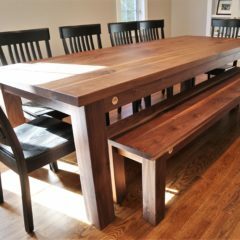 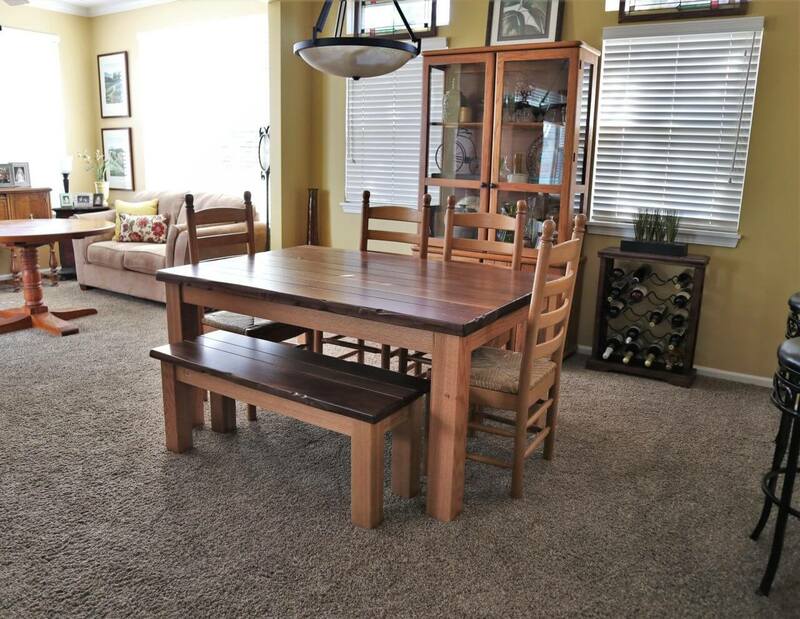 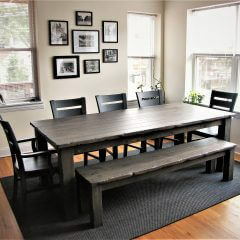 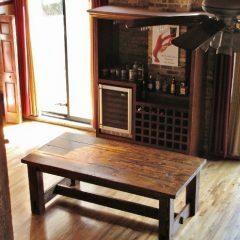 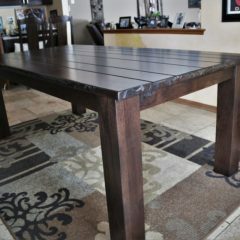 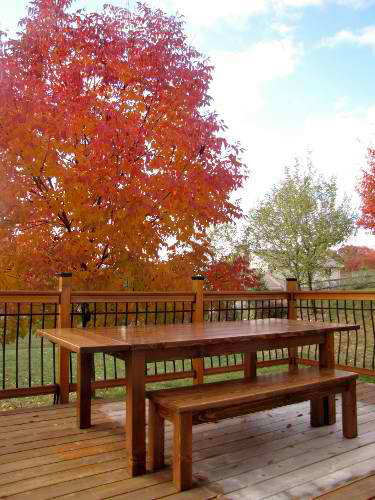 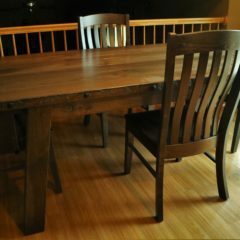 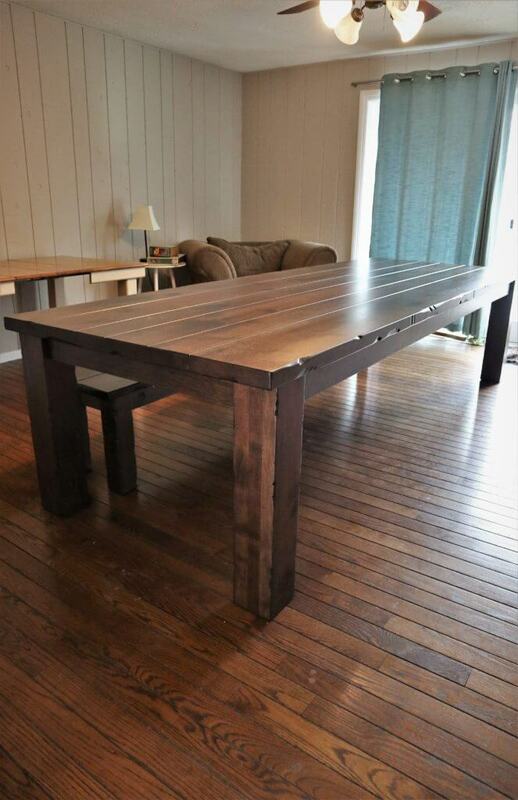 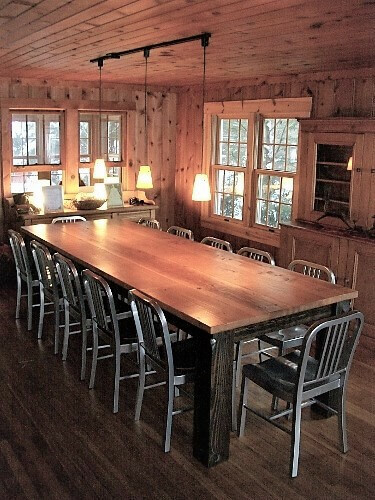 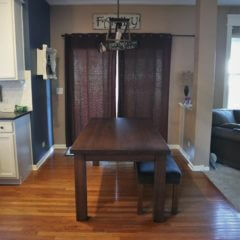 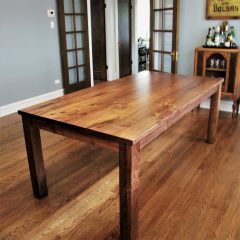 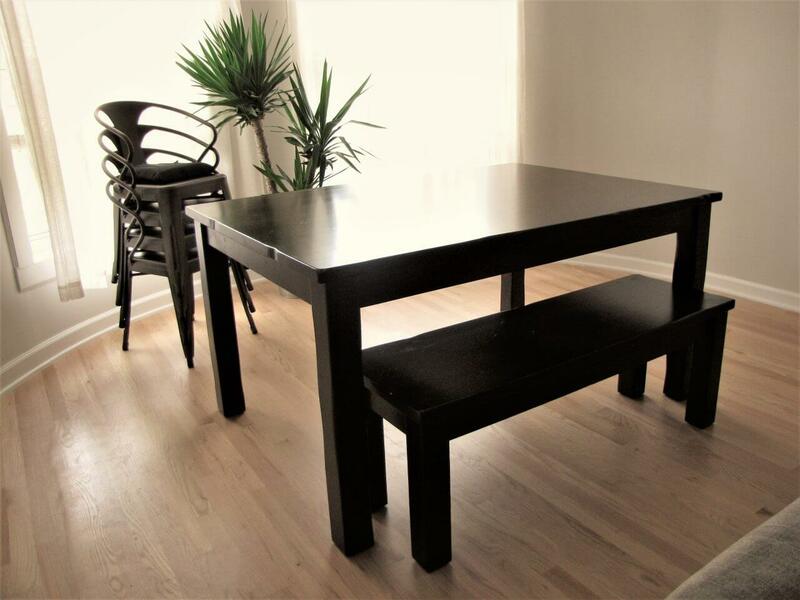 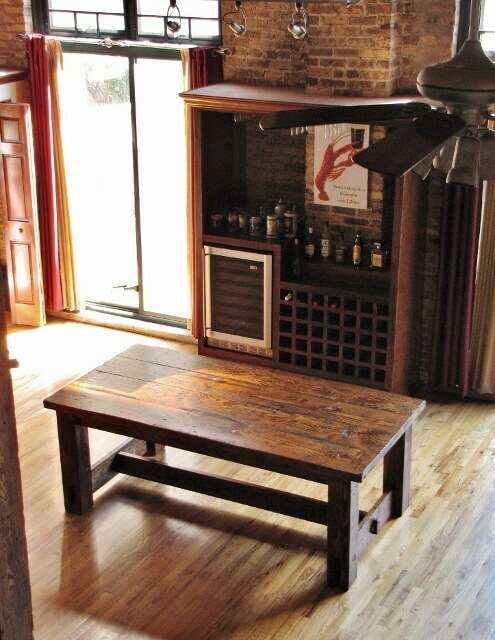 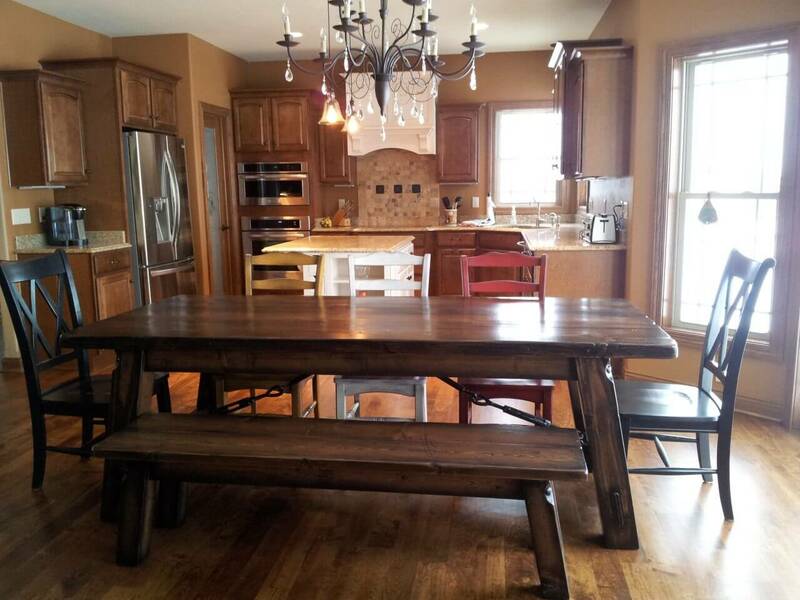 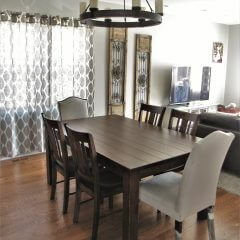 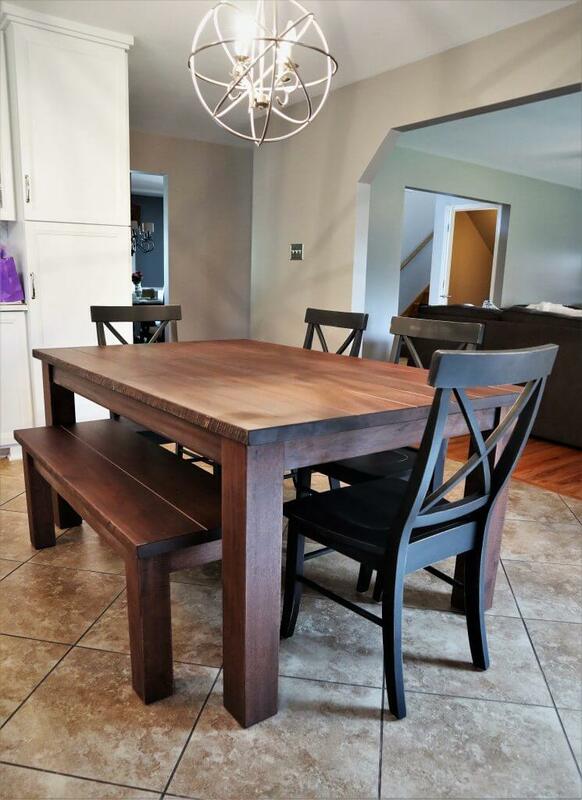 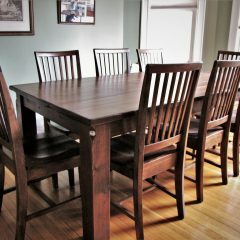 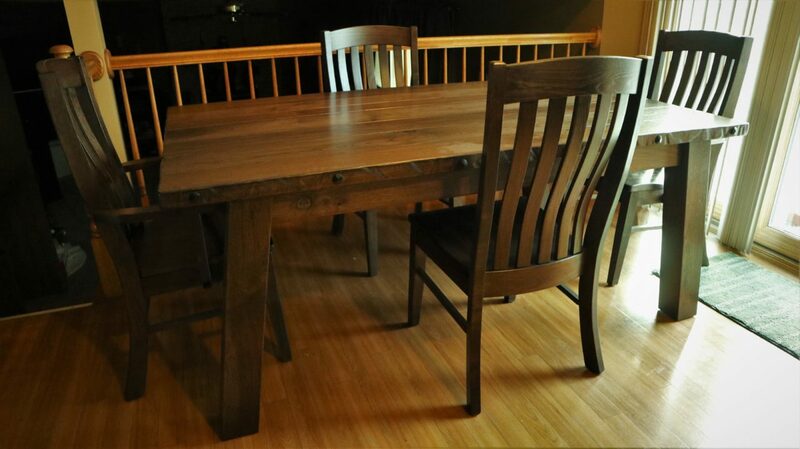 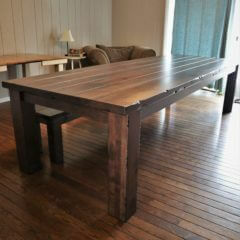 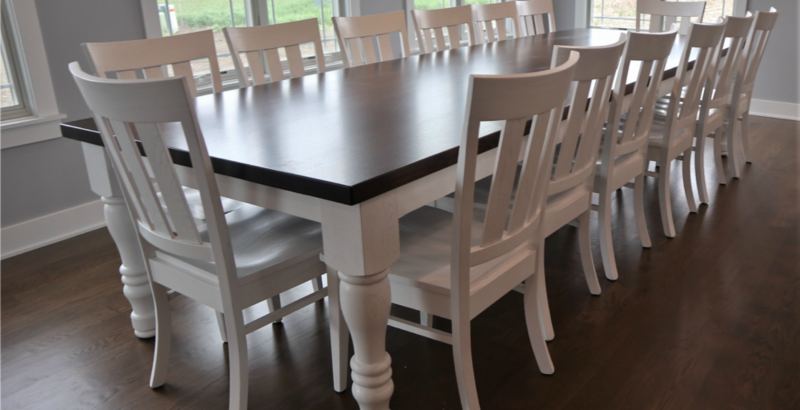 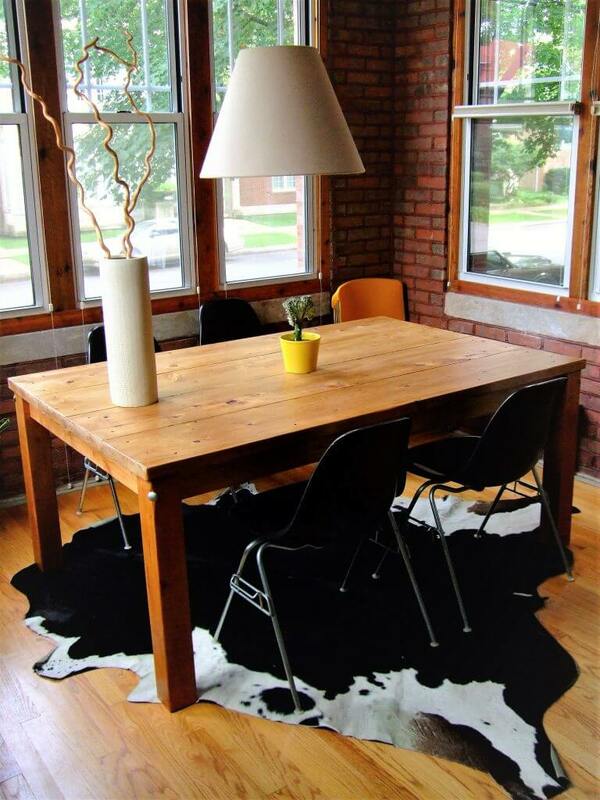 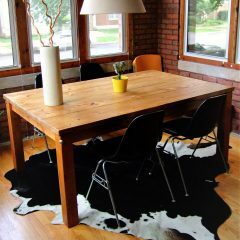 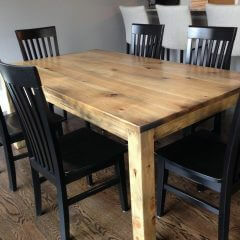 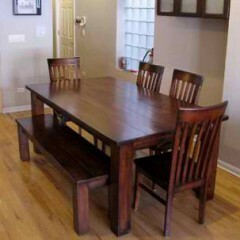 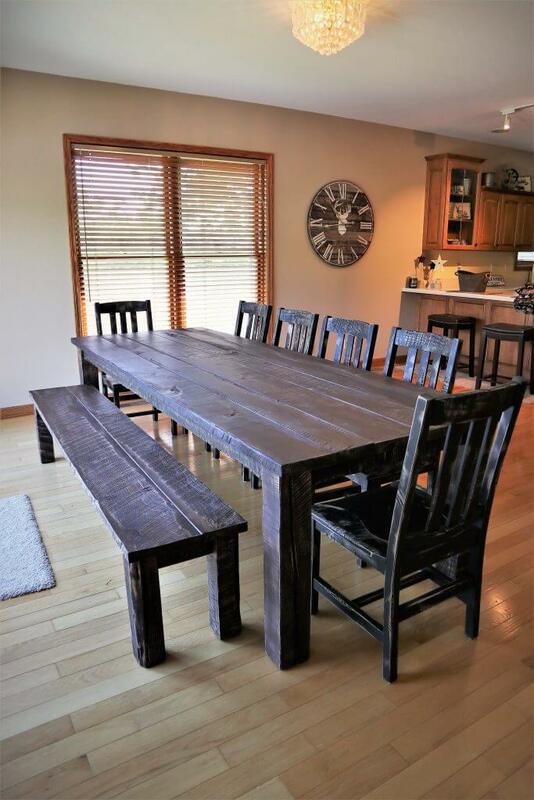 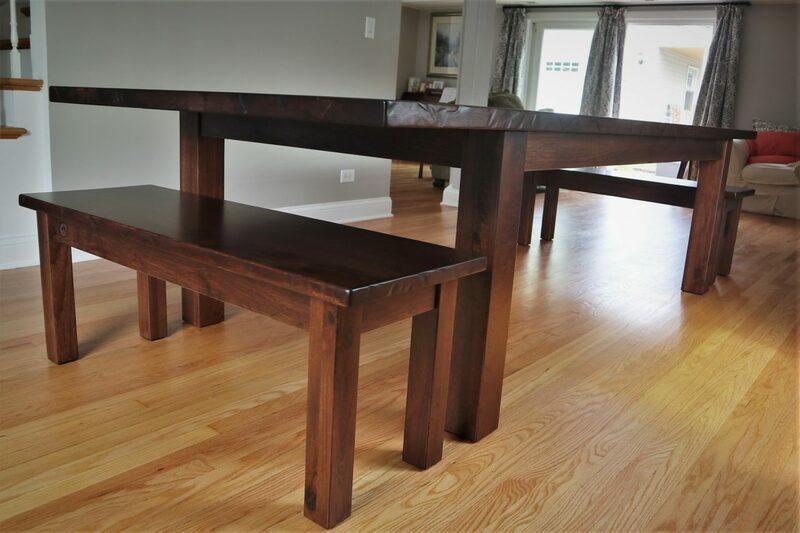 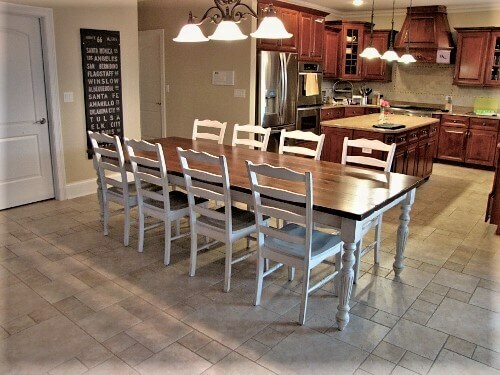 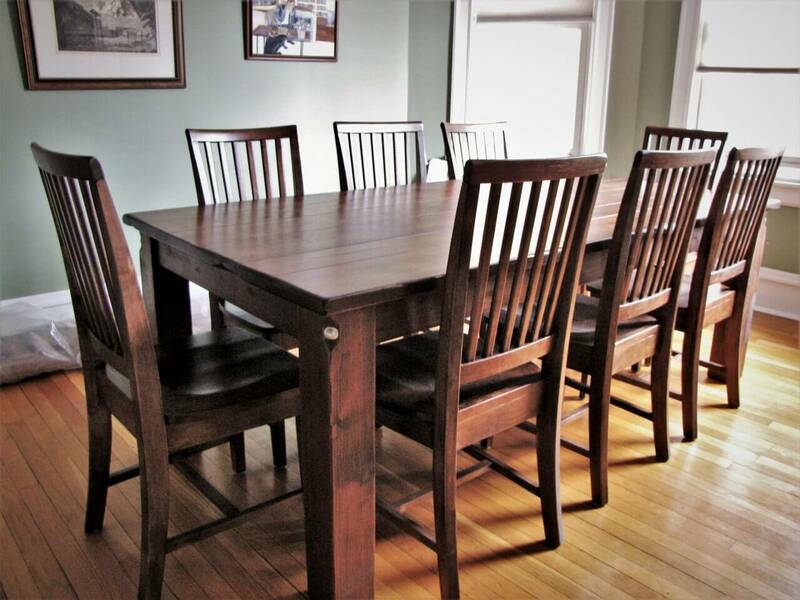 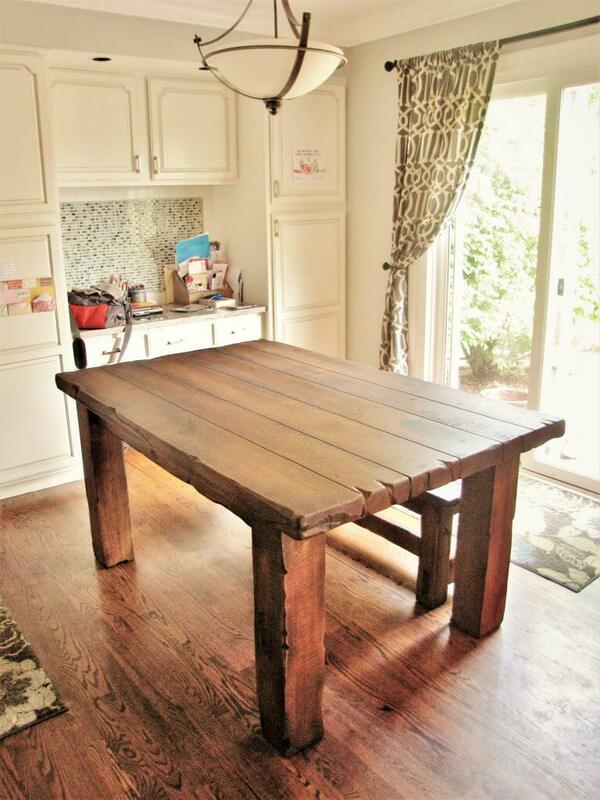 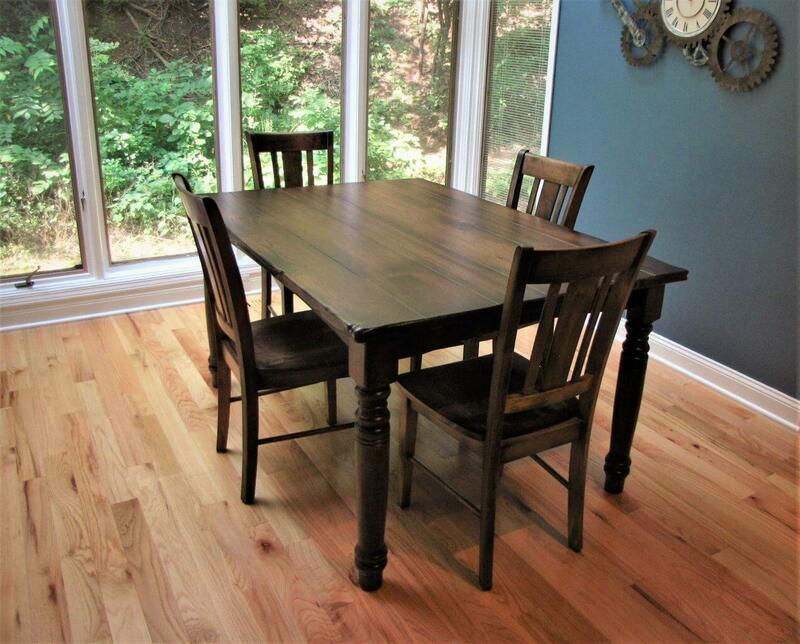 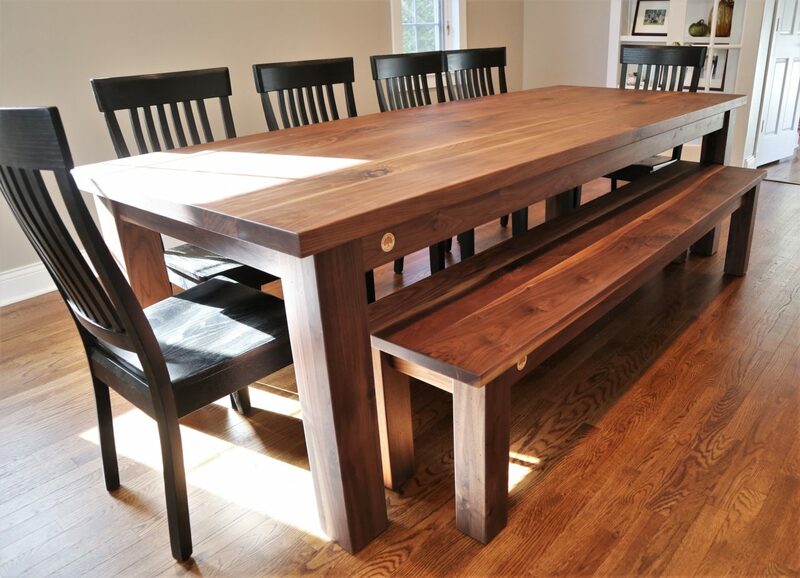 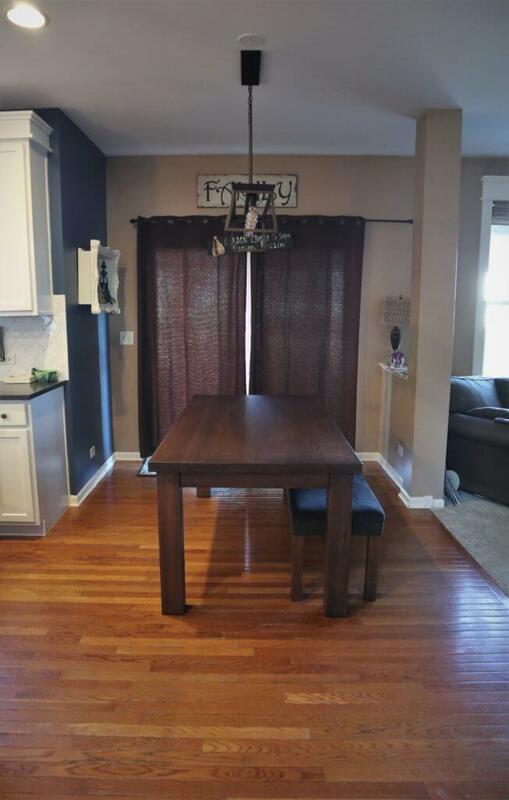 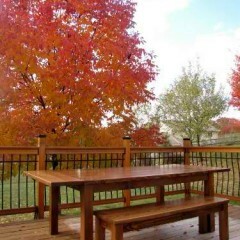 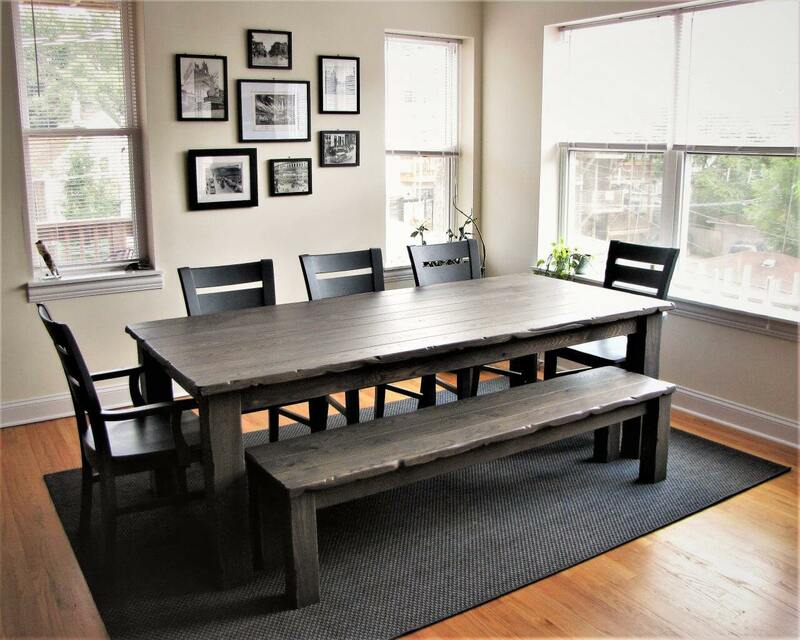 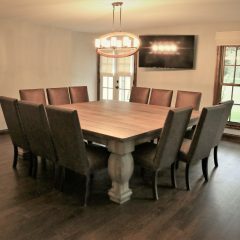 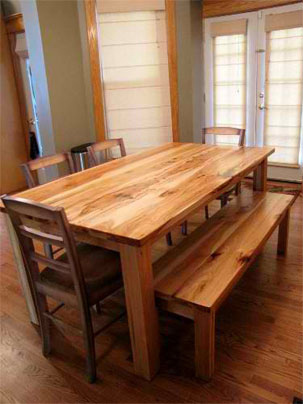 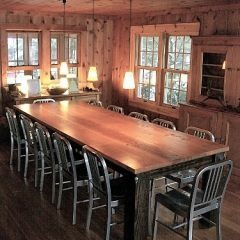 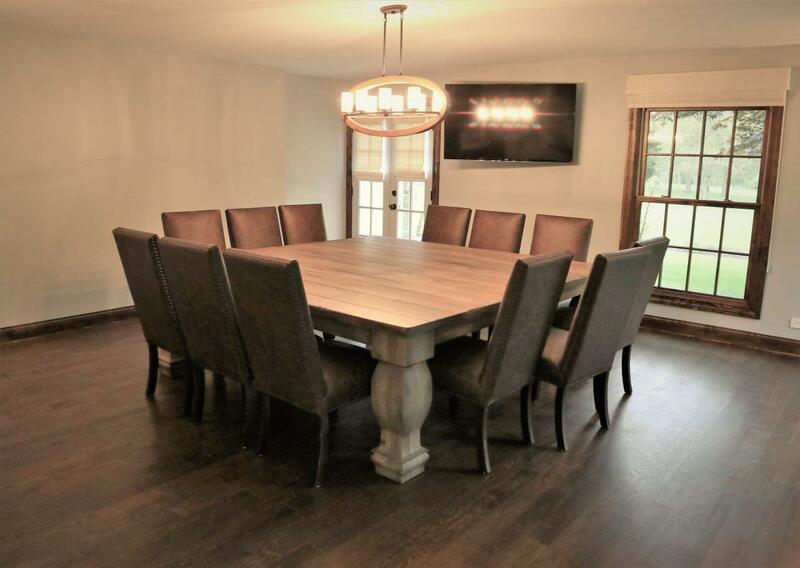 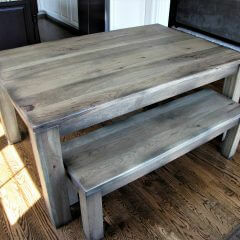 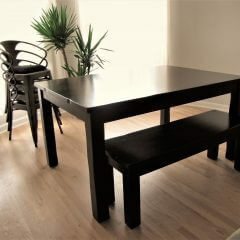 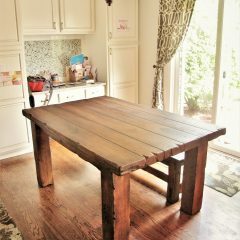 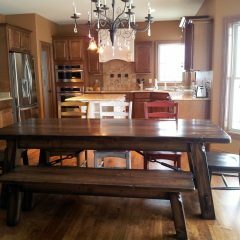 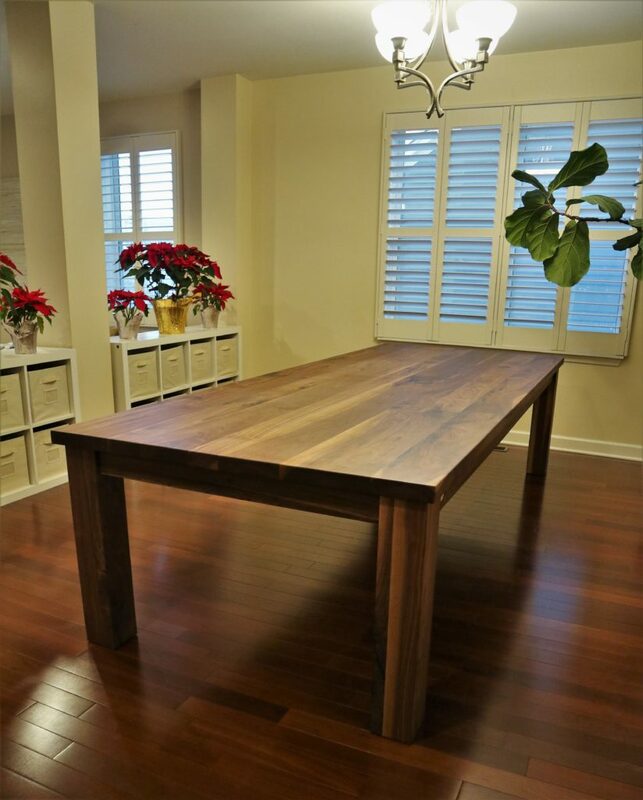 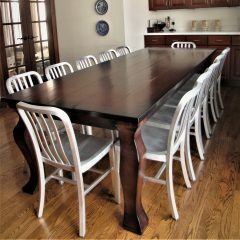 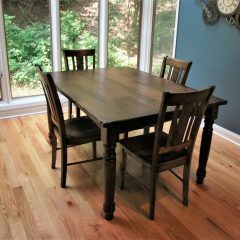 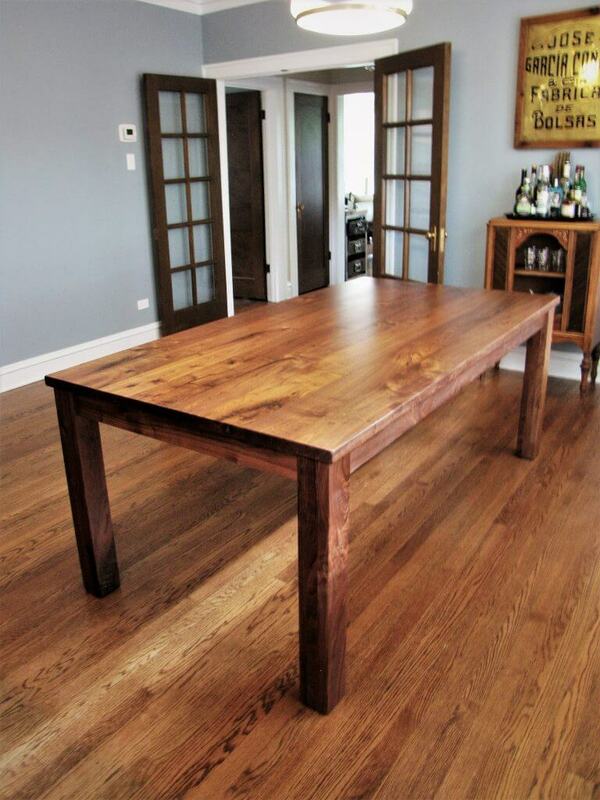 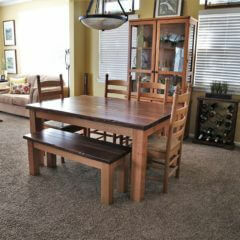 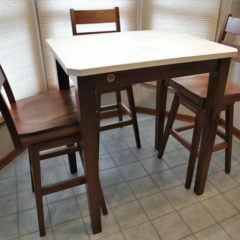 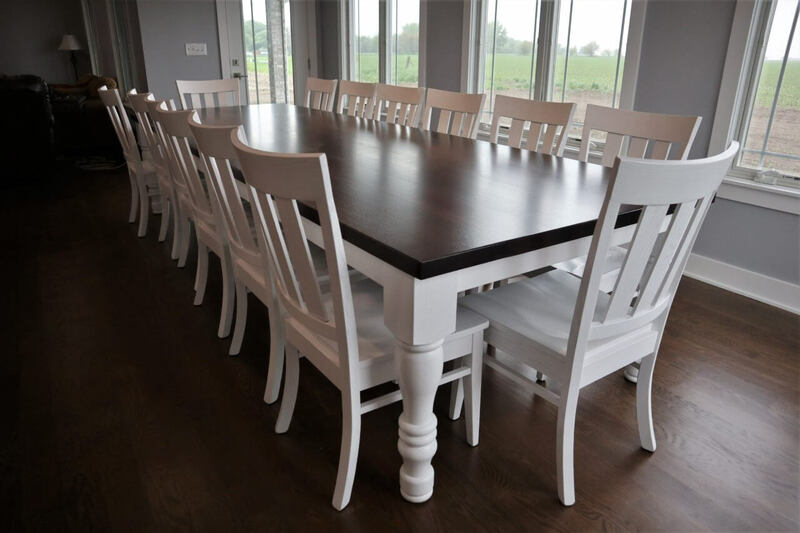 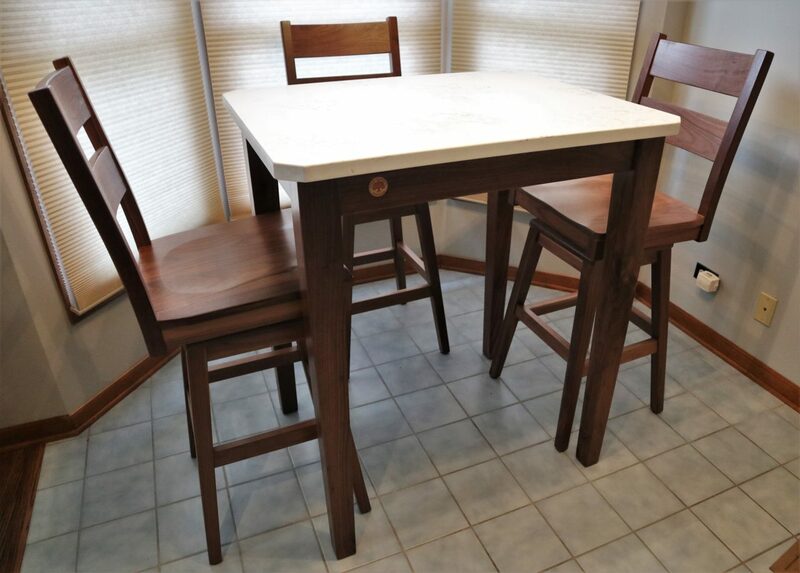 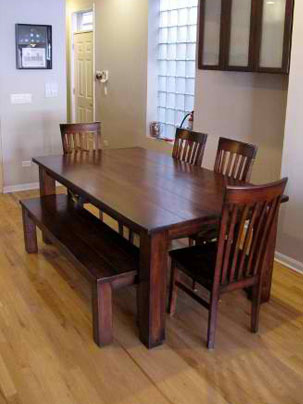 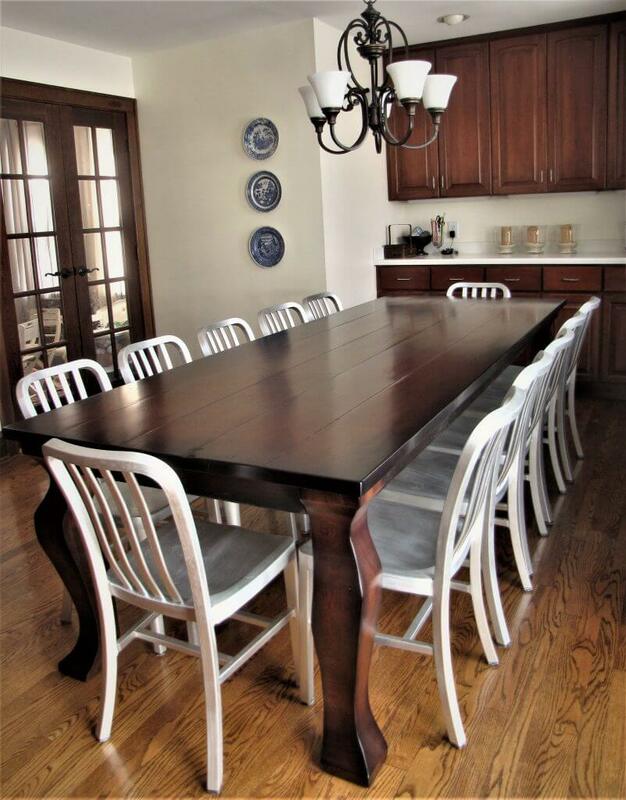 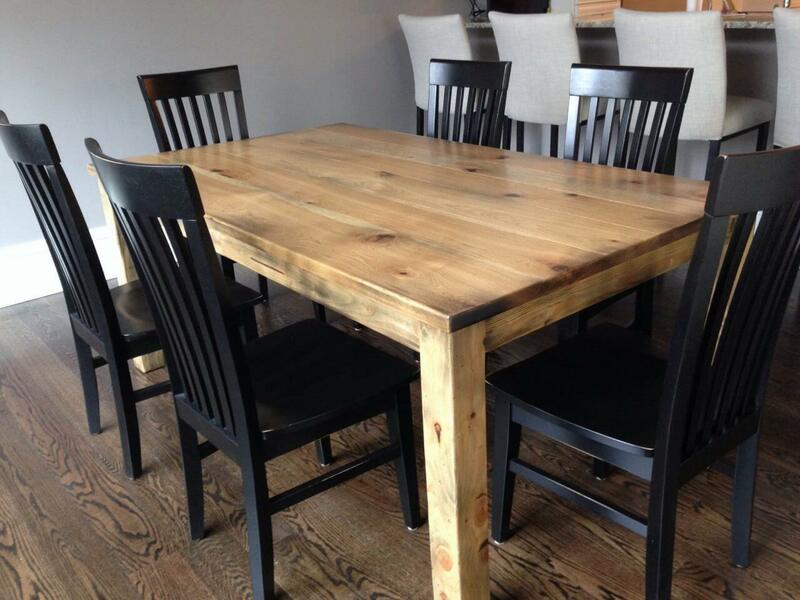 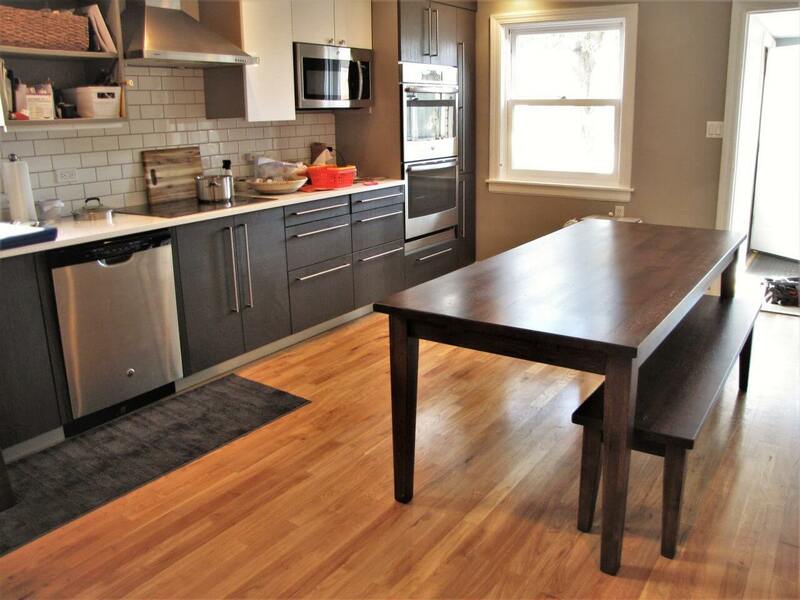 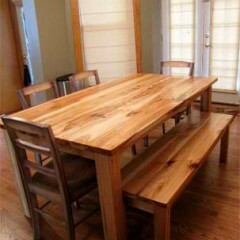 This is the traditional four leg table featuring the legs at the corners and a solid wood planked top. 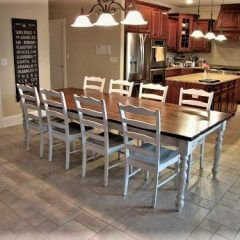 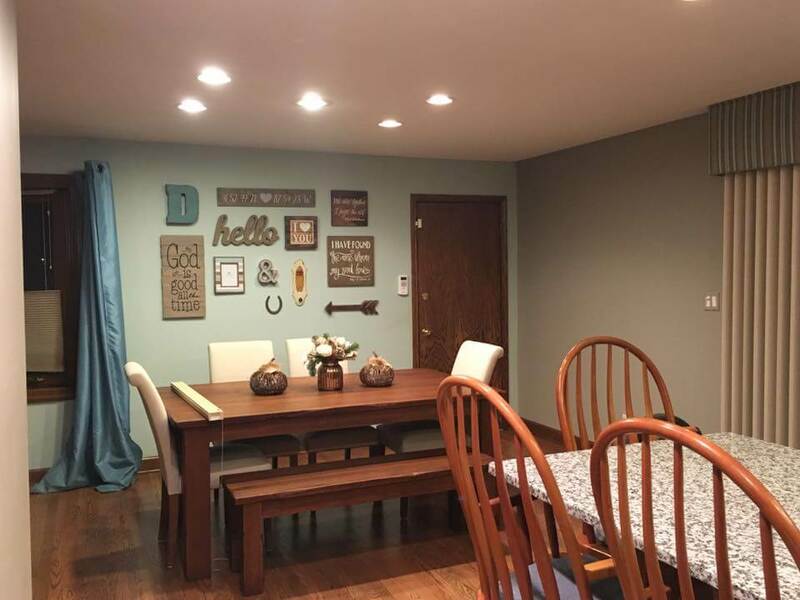 The color, finish, distress, and overhang can be altered to achieve different looks. 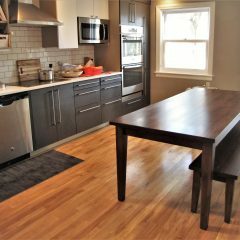 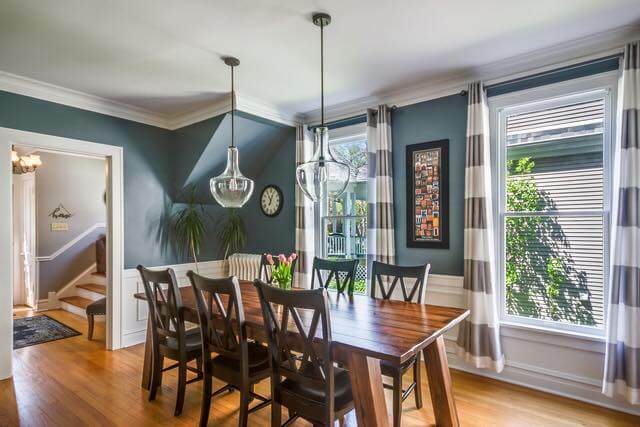 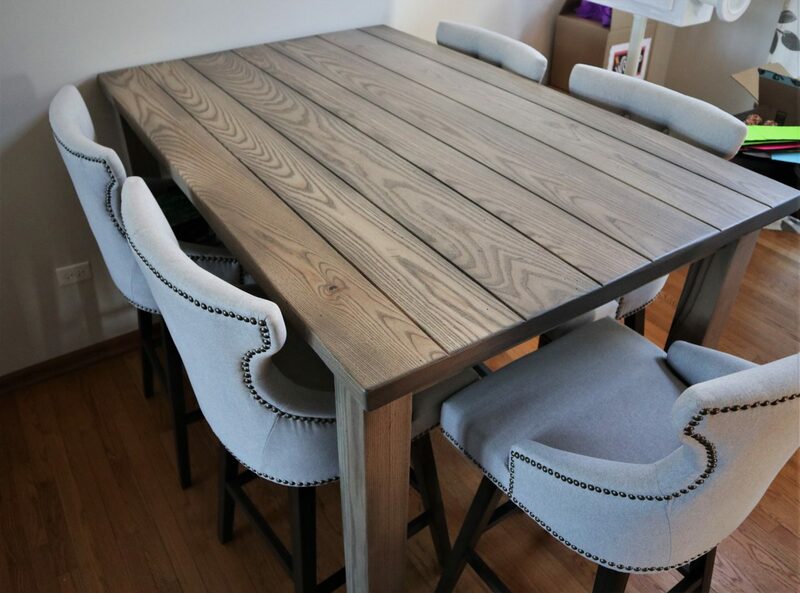 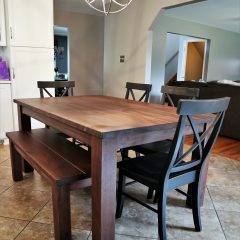 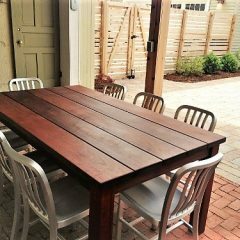 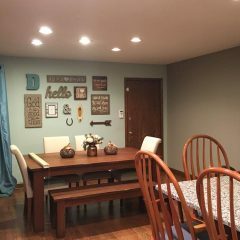 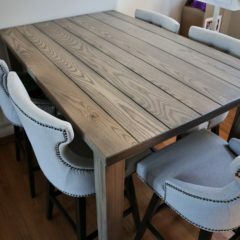 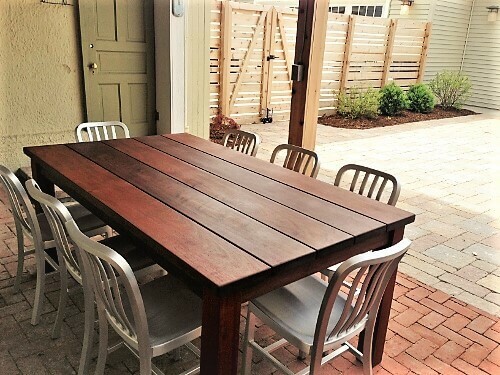 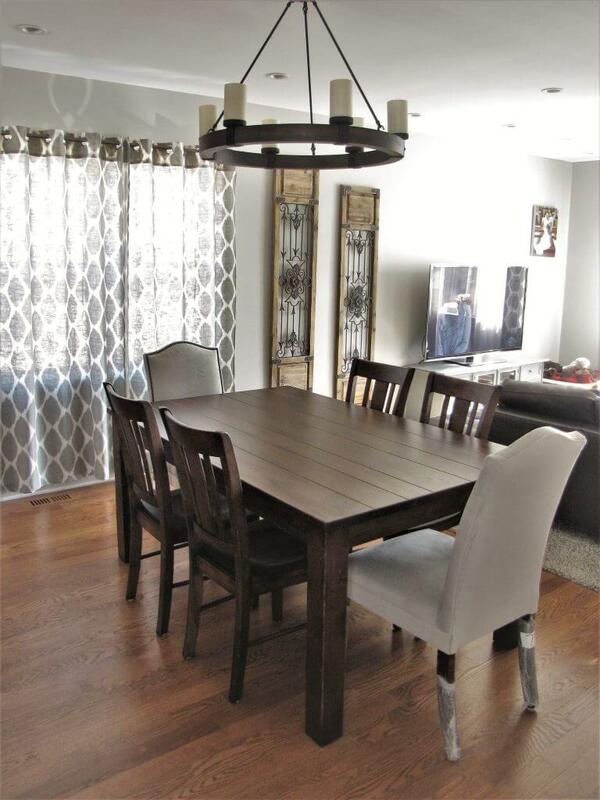 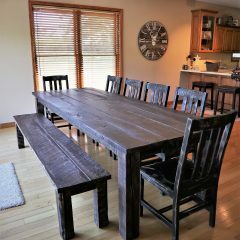 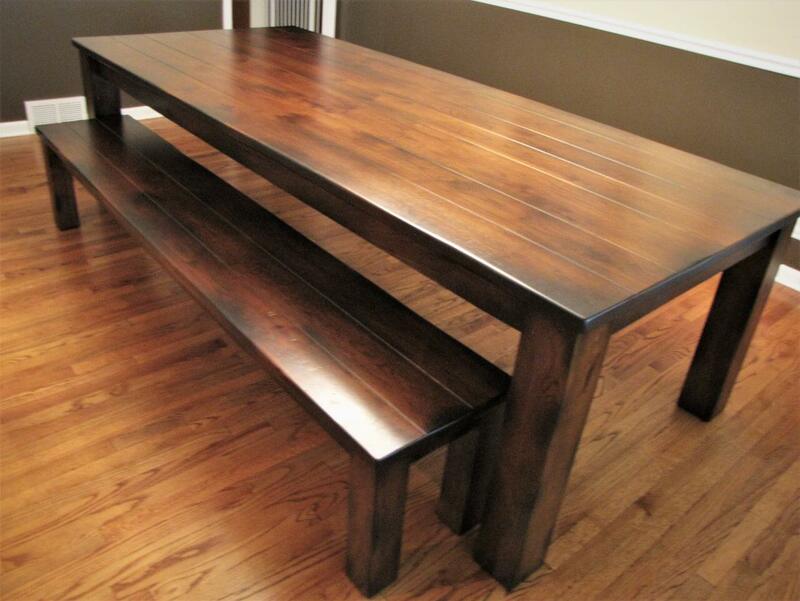 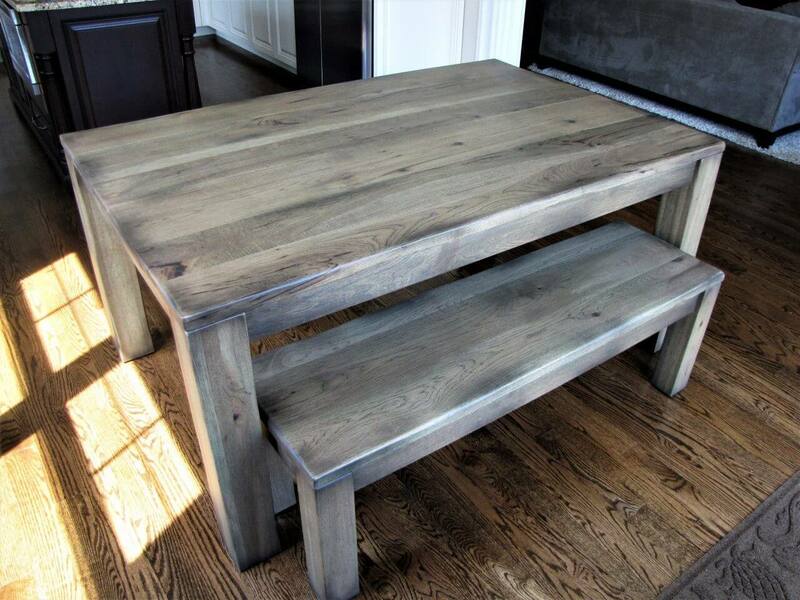 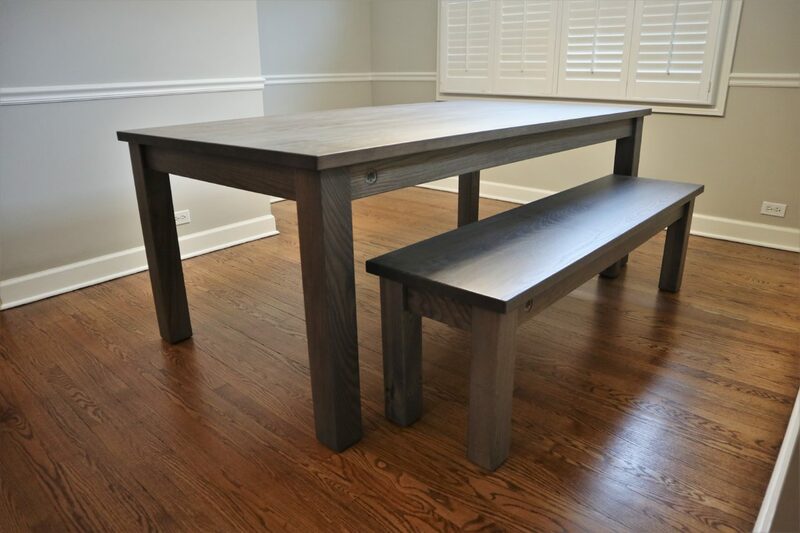 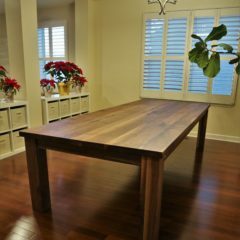 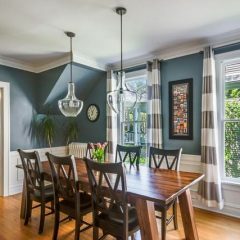 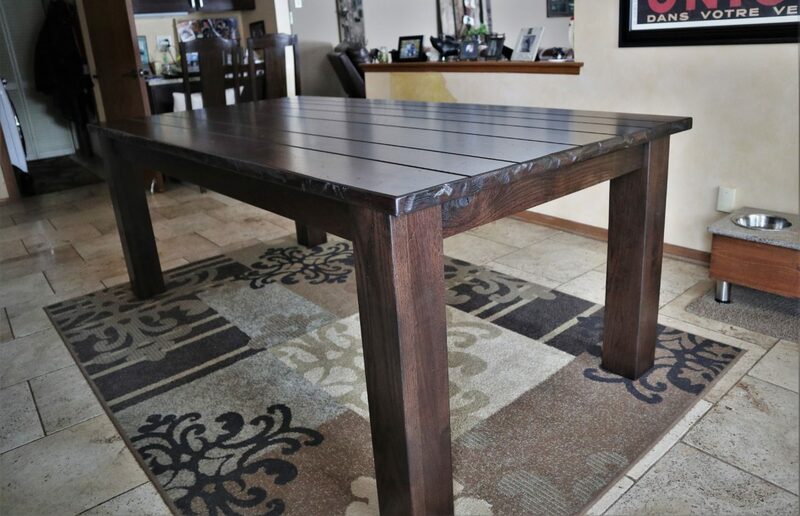 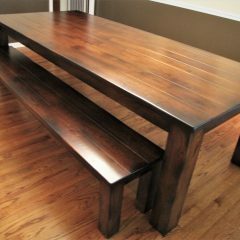 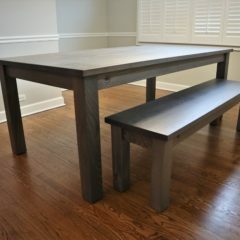 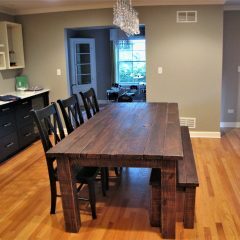 Light wood and distress are typically used for a more casual table, whereas darker and cleaner tables tend to be more formal. 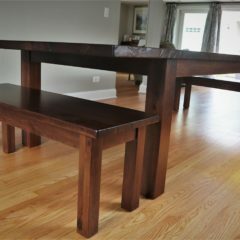 Below are the common sizes priced accordingly, but all tables can be modified to suit your dimensions.